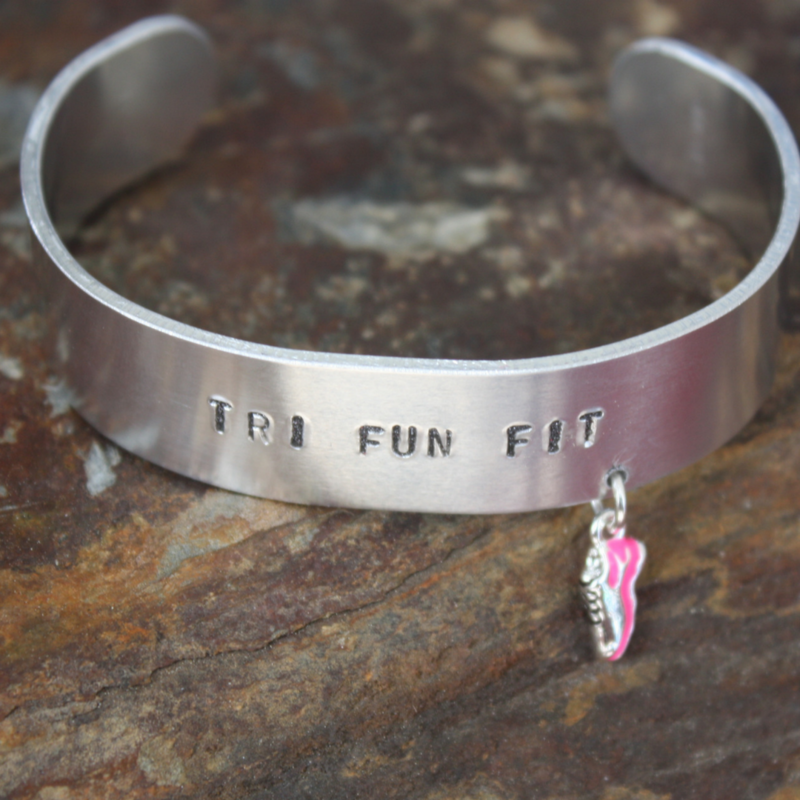 Show your love for triathlons and fun with this aluminum cuff bracelet with “Tri Fun Fit” stamped on it and a small pink running shoe hanging from it. It’s simple but shows your love and style. 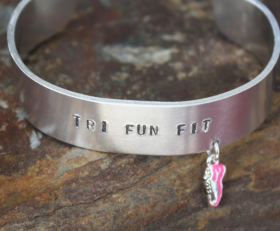 Categories: Bangles, Bracelets, Triathlon Jewelry.